Following a simplified set of rules for White Elephant exchanges works best for larger groups and tighter schedules. A gift card theme allows for a set dollar amount to be spent. You could even have each person purchase a gift card from a store that begins with the same letter as their own first name to make things a little more creative! 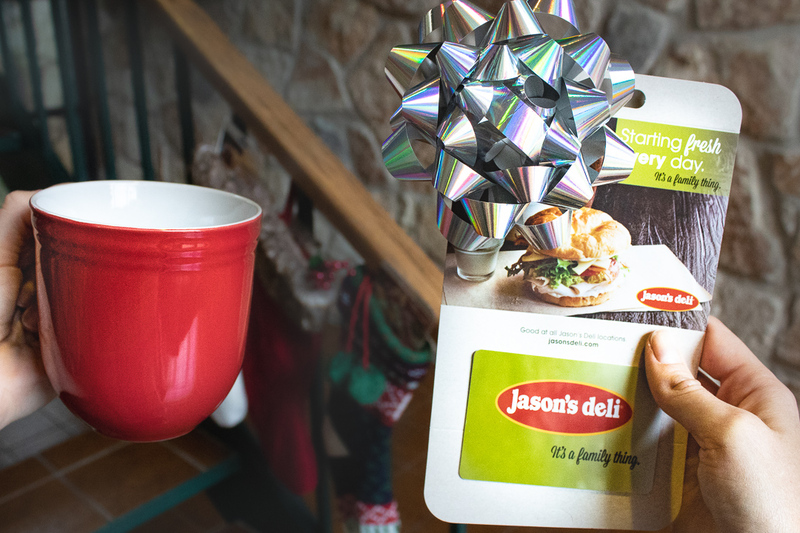 Our Jason’s Deli Gift Cards can certainly help all those Jennifers, Jims, Janices and Joes out there. The best part of this game is incorporating everyone’s favorite holiday songs. Just have people sit or stand in a circle and pass a gift around as a Christmas classic plays. When the music stops, whoever is holding the gift gets to keep it (and sits out of the rest of the game). To make it more fun, you can unwrap the gift before passing it around. When a gag gift is revealed, watch as it races around the circle like a hot potato. Can you smell the room full of sweets? Everyone brings their favorite baked good - either a small portion for each participant, or one treat that is exchanged in a gift exchange of your choice. Recipes are part of this gift swapping tradition and allows you to get to know others as many recipes have been a part of their family for years! Want to participate but lack the time? Our variety of baked goods, cake bites, cookies can be easily transferred into perfectly portioned gift bags. Feel like your office has participated in every type of holiday party tradition there is? Trying to find something different that is fun for all and celebrates the true nature of giving? Host a dinner or lunch in your local deli and have a percentage of your meal sales be given to a charity of your choice. Bring your office and their families together over delicious food to fundraise for groups your company cares about. Learn more here. We hope these ideas have sparked your creativity! After all, a holiday party should be less about following the rules and more about having fun.